India Team members Jeffrey Sherrod and Stephen Carver returned this week from a rich and productive time in India. Jeffrey Sherrod, an instructor at The Institute for G.O.D. International, offered three training seminars to the staff at Aquatic Public School. He used video and group activities to demonstrate methods of creative classroom management, a topic which was enthusiastically received! 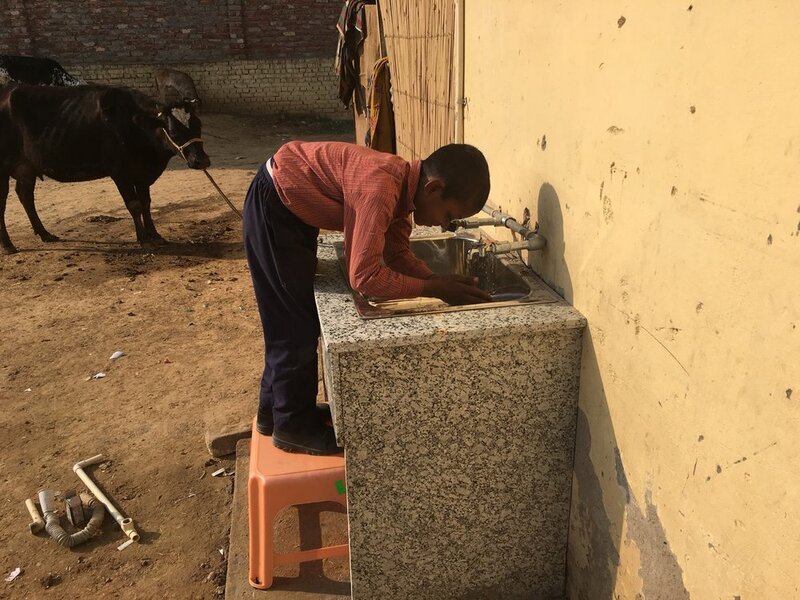 Stephen Carver also worked at the primary school, installing a new hand-washing station, as well as a water-filtration system that allows for fresh drinking water on site! Throughout their time, Jeff and Stephen labored alongside Manohar and Sneha Paul, who serve with G.O.D. India. It was about four days into our trip that Manohar quietly asked me, “So, today shall we pause for a lunch break?” I paused and laughed. It wasn’t that we had been trying to skip lunches! But all of us--Stephen, Manohar, Sneha, and I--felt the urgency to maximize our time and finish as much as possible. Every day of our 10-day trip was full. At night, we when sat down to read 1 Thessalonians and consider the Apostle Paul’s teaching on work, it felt like the treat at the end of full day. Manohar and Sneha Paul shared that they were really encouraged by our visit. Participation with G.O.D. India has connected them with a larger family, and they’re excited to be a part of a global effort to see God’s mission in the world carried out. Principal Sunny, of our partner school, Aquatic Public School (APS), was grateful for the teachers’ seminars I conducted. He gave genuine feedback on how helpful the training had been, which I was so glad to hear. Not all the teachers at APS are professionally trained. But they are eager to make a quality and affordable education to their students, so many of them work jobs after school hours for supplemental income. Their enthusiasm is high, and we need to continue to equip them to meet the task. One of my primary goals for this trip was to build the hand-washing and water-filtration systems at APS. For the hand sink, the biggest challenge was finding materials to work with. It was a great learning experience and I learned a lot of good information that will help guide our building projects in the future. It was also super helpful how invested Principal Sunny was into the project, making suggestions and honestly answering questions. He cares a lot about the school, and he values our partnership there. But the highlight of the trip was our time with Manohar and Sneha Paul. We tried to both teach and demonstrate how/why we work at G.O.D. India. We shared a lot of meals and discussions about applying the Bible to our work, from what it means to rely on each other as the Body of Christ, to how the Lord’s great concern for children shapes our educational efforts at APS. Manohar and Sneha shared their perspective on some ways that makes our organization distinct from past ministry experiences. Our friendships all deepened through these times together, more so than previous trips.